A wide variety of nanotechnology programs, both pedagogical and research-oriented, can incorporate some aspect of molecular manufacturing. Nanotechnology is developing from large tools that give us access to the nanoscale, to tools constructed at or near the nanoscale. To date, these nanoscale tools are not capable of accomplishing much of commercial interest; however, this will be changing with increasing rapidity over the next decade or two. Eventually, nanoscale tools will be capable of broad classes of nanoscale construction; this will enable the fabrication of increasingly complex and useful structures. Fabrication of structures with molecular precision is especially relevant. When nanoscale tools are developed to the point of being capable of building duplicate tools, a manufacturing revolution may occur; even before that point, there are both scientific and likely commercial benefits to developing capabilities in this area. The field of nanotechnology owes much of its popularity to molecular manufacturing (also called molecular nanotechnology or MNT), yet many nanotechnologists are only vaguely familiar with it. In general, nanotechnology involves creating or studying nanoscale structures–less than 100 nm in size. This includes a very broad range of fields, from computer chips to medical diagnostics. Making nanoscale structures is difficult. Although some tools, such as scanning probe microscopes, can interact with the nanoscale directly, such tools are expensive and difficult to use. Indirect methods of creating nanoscale structures, including various techniques of chemistry, can be used, but the results can be difficult to characterize and control, and of limited complexity. As long ago as 1959, Richard Feynman pointed out that nanoscale tools could be built, which could perform advanced manufacturing operations with atomic precision (Feynman, 1959). Since the early 1980's, Eric Drexler has been describing various approaches to building the tools, calculating the potential performance of the resulting manufactured products, and promoting awareness of the implications of advanced molecular manufacturing (Drexler, 2009). Drexler's 1986 book Engines of Creation (Drexler, 1986) introduced the public to the word “nanotechnology,” which he coined to refer to molecular manufacturing; the book generated substantial interest. When molecular manufacturing was first described in detail by Drexler in the late 1980's and early 1990's, it was seen as a transformative technology. There was a large gap between what was technically possible at the time, and the possibilities that could be projected from the well-understood laws of physics and chemistry. At the same time, the payback of a successful molecular manufacturing program was seen as so extreme that several theorists, including Drexler, expected a crash program to develop it, even at a cost of multiple billions of dollars. Accordingly, the first view of molecular manufacturing was of an advanced manufacturing system being developed with few precursors, and creating revolutionary change. Early publications, including several fictional treatments and non-fiction books written for the general public, led to a backlash of skepticism. Almost from the start, some scientists were willing to publicly state that molecular manufacturing would be impossible, or else centuries in the future. Skepticism persisted despite the increasing level of detail in analysis of (still theoretical) capabilities and mechanisms, notably including Drexler's 1992 book Nanosystems (Drexler, 1992). An early concern about the safety of molecular manufacturing appeared in the form of warnings about the potential for small self-contained self-replicating systems to duplicate out of control and consume large amounts of biomass. Although these warnings originated from a mid-1980's picture of molecular manufacturing systems as being bacteria-like, and did not apply to later designs published as early as 1992, they played a starring role in an article written by Bill Joy, then chief scientist of Sun Microsystems, in 2000 titled “Why the future doesn't need us” (Joy, 1992). Joy claimed that a single laboratory accident with nanotechnology could destroy the world. The article appeared in Wired magazine and gained broad attention. The U. S. National Nanotechnology Initiative (NNI) gained funding in 2001, to the tune of almost half a billion dollars per year (almost $1.5 billion in 2009). 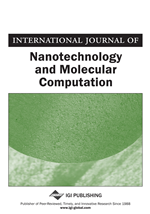 The NNI continued the process of broadening the meaning of “nanotechnology” far beyond molecular manufacturing, to include most research involving nanoscale features. With major funding at stake, many nanotechnology researchers felt a strong incentive to explain to the public why their work could not lead to runaway nanomachines eating the biosphere. This incentive dovetailed well with previous skepticism and misunderstanding about the science behind molecular manufacturing, and a number of scientists published poorly-considered opinions claiming that molecular manufacturing was theoretically impossible.